Most religious traditions have a rich, if largely forgotten, heritage of involvement in medical issues of life, death, and health. Religious values influence our behavior and attitudes toward sickness, sexuality, and lifestyle, to say nothing of more controversial subjects such as abortion and euthanasia. The essays in this important book illuminate the history of health and medicine within the Judeo-Christian tradition. 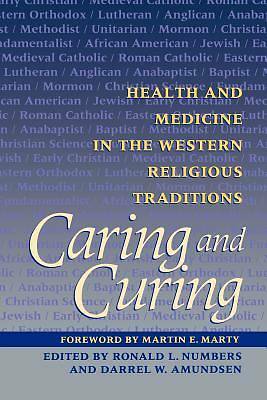 Bringing together 20 original articles by expert scholars in the fields of the history of religion and the history of medicine, Caring and Curing provides a fascinating and enlightening overview of how religious values have come to affect the practice of medicine and medical care.